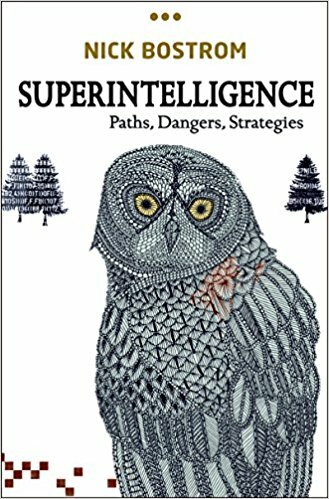 Superintelligence by Nick Bostrom reads a bit like a textbook. And unless you’re already passionate about the topic, it requires patience and perseverance to get through it. While the content is complex, the structure is simple and straightforward, making Superintelligence easy to follow. I’m not an AI expert; I picked up this book to learn. And that’s exactly what I did. Before I started reading Superintelligence, I knew enough about AI to understand its transformative potential and dangers under the control of humans—not because we’re inherently evil (we’re not) but because we’re human: we often fail to educate ourselves on technologies or monumental shifts in our world or we fail to fully think through the implications and potential outcomes of them. Fear does not characterize the book, however; a good dose of straight talk, research and data do. This chapter alone is worth the price of the book because it demystifies—at the most basic level—the “black box” out there that we call AI. I’ll never read an article on artificial intelligence through the same lens again. He makes the point (effectively) that with so many potential paths to superintelligence, we really shouldn’t pooh- pooh its reality. Or its potential hazards if misused. As the title implies, Bostrom goes on to address AI dangers and strategies, including technology strategy, enablers, and collaborative approaches. In full disclosure, my mind strayed often from the heft of the content. But that’s okay. As an “audit student”, I don’t have to go from 0 to 60 in 1.7. And neither do you. Read it once if you want to get a “lay of the AI land.” Read it twice if you want to understand a little more about the soil. This is a great overview written by an expert in the field.